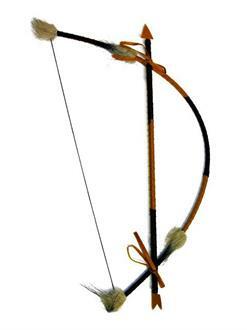 Make this bow and arrow your weapon of choice that is sure to stay on point for your Native American costume for Halloween this year. This item features an arrow and bow decorated with feathers and beads. .